DON'T FORGET! TODAY IS THE LAST DAY TO ORDER ONLINE AT MY STAMPIN' UP! 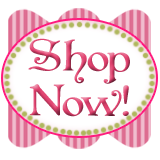 WEBSITE AND GET FREE SHIPPING ON ALL ORDERS OF $150 OR MORE AND/OR TO PURCHASE THE STAMPIN' UP! STARTER KIT AT HALF-PRICE $87.50! CONTACT ME TODAY FOR MORE INFORMATION! Today I am going back into the archives to show you some of the cards we made at my October Christmas Card Stamp-a-Stack! These were all swaps I received at Founder's Circle in September that I either CASED exactly or added my own little twist! This card was a favorite, using the Holiday Mini Catalog Level 2 Hostess set, Peaceful Season! The inside verse is from the Level 3 Hostess set, Occasional Quotes! For this card I used the oldie-but-goodie, Winter Post! The picture doesn't do it justice, but after the card was completely assembled we gave it a light spritz with the Vanilla Shimmer Smooch Spritz! The inside verse is from another oldie-but-goodie Christmas verse set, Many Merry Messages! The snowflakes have the Metallic Brads attached through a Paper Pierced hole and the legs are turned down, then the snowflakes are attached to the card with Mini Glue-dots! This card uses the fun new clear-mount alphabet, Broadsheet Alphabet! The inner verse is from another favorite and often used set, God's Blessings! First we laid down 1"-1 1/2" of Sticky Strip on the Early Espresso cardstock strip. We then removed the red plastic protective covering to expose the stickiness. We trimmed off the end of our 5/8" Old Olive Satin ribbon with the Craft & Paper Scissors, then attached the end of the ribbon to the end of the Sticky Strip. We did not attach the ribbon to the entire length of the strip. We pinched up the ribbon into a small fold and then pressed down about a fingertip width of ribbon to attach again to the sticky strip. We repeated this process a second time to make a second fold in our ribbon. At this point we clipped off the ribbon and layered the punched "noel" letters. If you desire you can put a Mini Glue-dot between the folds to help them lay down. If all goes as planned I will be back tomorrow to show you how we made a Textured Impressions Christmas Tree! Hopefully I'll be back tomorrow with more pics of projects I've shown these past couple of months! Tags: Christmas, projects, Stampin' Up! Stampin' Up! is having a GREAT SALE and it's going on NOW! But don't wait, the sale only lasts thru next Tuesday, November 30th, so go check out this Online Spectacular PDF to see what all the savings are about, then go to my website:carolpayne.stampinup.net to place your order! You can also contact me by phone or email, but when your place your order online and the merchandise total is $150 or more, shipping is FREE, so that saves you an extra 10%! Our fabric bundles, My Digital Studio, and Sweet Shoppe Alphabets are on sale at 50% off, and then there's a BIG list of items that are 40%, 30%, and 20% off! So go check it out! Give yourself or someone you love a Stampin' Up! present at great savings! Now for a couple of cute samples all made with the Candy Wrapper Die! A cute Thanksgiving favor which also uses the Leaves #2 Die, several Textured Impressions Folders, and the Decorative Label punch! This pile of cuties also uses stamps from "Cute Christmas", "Tags Til Christmas", and "Punch Pals"! Even though Christmas isn't here yet, it's never too early to be thinking of our sweethearts! This candywrapper uses Designer Paper from the Brights Patterns Paper Stack and the Holiday Mini stamp set, "Filled With Love"! The Brights Glimmer Brad gives it just that special touch! Well that's all for today. I know it's been forever since I blogged, but I hope to be better at it in the next few weeks! Until the next time, have a Stampinrox! day! Tags: candywrapper, online spectacular, simply amazing, stampin' up!